Change is a constant. In our current environment, this may feel even more evident to you and your organization. While many take a ‘wait and see’ approach in times of great uncertainty, I encourage you to be more proactive. First, you need a strategic plan. Without a clear direction and purpose, your organization may end up going in circles or simply moving in whatever direction the environment takes it. A plan gets everyone on the same page and focuses the organization’s activities. Developing and tracking success indicators helps the organization recalibrate its activities when things have drifted off course or when activities have unexpected outcomes. An effective strategic plan is not set in stone. Be committed to your plan, but not attached to it. This means allowing your plan to set direction for your organization, while realizing that the details of your plan may need to change. As you review your organization’s progress on its plan, identify what has worked to advance the organization toward its goals and what approaches have fallen short. Look for ways to expand what is working well, while refining or eliminating the activities that are not helping the organization realize its goals and objectives. This approach will enable your organization to continue its progress toward its strategic goals, while being responsive to the environment and making good use of organizational resources. Make sure that board members have a thorough understanding of the organization’s business model and how its various funding sources are linked to particular programs and activities. You may also want to discuss how changes to local, State, or Federal policies will affect the organization’s funding and programming. If the organization’s funding mix is overly reliant upon one or two revenue sources, the board should find ways to diversify the organization’s funding. With that in mind, make sure your organization has a fundraising plan (and grant writing plan) in place. In larger organizations, the fundraising and grant writing activities are managed by staff members with board and committee support. Smaller organizations are more dependent upon the board and other volunteers to lead fundraising activities. As you discuss the organization’s business model, include a discussion about the board’s responsibility to ensure adequate resources for the organization and the specific expectations of board member participation in the organization’s fundraising activities. Just as you wouldn’t drive your car down the road looking out the back window, it’s dangerous to lead an organization using only at its past performance as your guide. Don’t limit strategic or innovative thinking only to the strategic planning retreat. Strategic conversations should be part of every board meeting. Use the expertise around the board table to consider likely future scenarios or to have ‘what if’ conversations about the organization’s activities. When looking at past performance, such as financial statements, make note of any performance trends and ask, “What will happen if things continue to moving this direction? Will this help or hinder us in meeting our goals?” As mentioned above, build upon what has worked and reduce or eliminate those things that haven’t been successful. As future activities are discussed, identify how the proposed action or activity will move the organization closer to its goals. 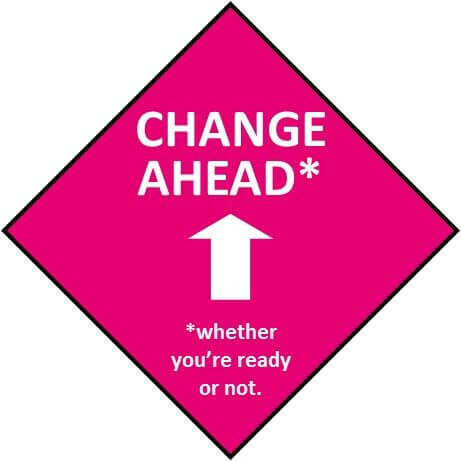 Change isn’t easy and uncertainty is uncomfortable. Your organization’s strategic plan is the guide for leading your organization in a dynamic environment. As you work toward your organization’s goals, continue to think strategically, expanding those activities that propel the organization toward its goals, while curtailing those things that are hindering it in moving forward. This approach can make change more manageable and uncertainty less daunting. A version of this piece appeared in the Corridor Business Journal. Unless the leaders are motivated and passionate towards their job, they will not be working hard and may not stay for a long term. They must understand that leadership is a genuinely passionate responsibility. Agreed. I believe that leadership requires a passion for the work and a commitment to the responsibility of being a leader.